Just like a clear mask protects your car’s paint finish, ClearPlex protects your car’s windshield! ClearPlex forms a bond with your windshield, absorbing the impact of road hazards while providing protection from the sun’s UV rays. You can drive comfortably on the roads and highways knowing ClearPlex is protecting your windshield! 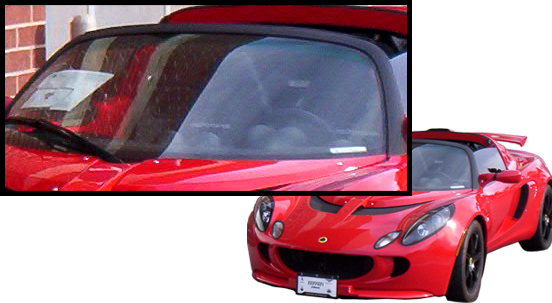 ClearPlex is the first and only optically-clear protection film for your vehicle’s windshields. This cover keeps your glass in pristine condition by absorbing the shock of road hazards. Impacts that shatter unprotected glass leave only minimal marks –usually only the size of a pinpoint, on the film without affecting the glass beneath. Rock chips, stars, pitting and bull’s eyes are a thing of the past with ClearPlex protecting your windshield! ClearPlex is scratch resistant, holding up to everyday abrasions including windshield wipers. It maintains optical clarity and even provides better visibility while driving. Elements like rain and snow are able to run off faster than on your uncovered windshield, making it easier to see in all weather conditions. Like window tint films,ClearPlex features UV stabilizers to help reduce the amount of harsh sunlight, protecting the passengers and prolonging the life of the interior. 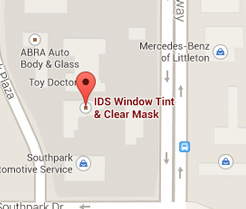 IDS Window Tint is one of the few certified installers in the United States. For the ultimate protection of your vehicle’s windshield, ClearPlex is the choice for you! ClearPlex offers a one-year or 12,000 mile limited warranty on all its products. ClearPlex is guaranteed not to peel, bubble, crack or yellow for the warranted life of the film. Have ClearPlex installed on your vehicle today!